Plants vs Zombies 2 is probably one of the most anticipated game to be released on Android platform this year. 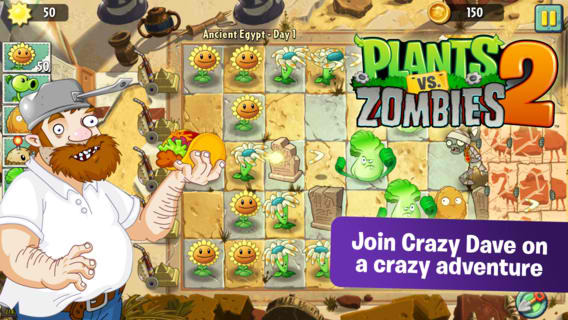 Fortunately for China (and iOS users who got to download the English version first last August), the Plants vs Zombie 2 for Android was already released on their country. And you can actually find some APK files leaked across the web if you can’t wait for the official English version of it. According to reports, Plants vs Zombies 2 for Android release date is expected to be this coming October 2013. As of todate, there is no specific date as to when the international Android version of Plants vs Zombies 2 will be released and available for download. EA or PopCap didn’t mention any reasons why there is a delay in releasing the Android version. If you have been reading tech blogs lately, you might have encountered the rumor that Apple paid “a truck load of money” to its creators just to delay the Android version. Apple and Popcap/EA denied that there is truth to this rumor. Plants vs Zombies 2 has been downloaded around 25 million times since September and has been rated 4.5 out of 5 stars. I’m pretty sure the number of downloads will increase exponentially once the Plants vs Zombies 2 for Android is released.